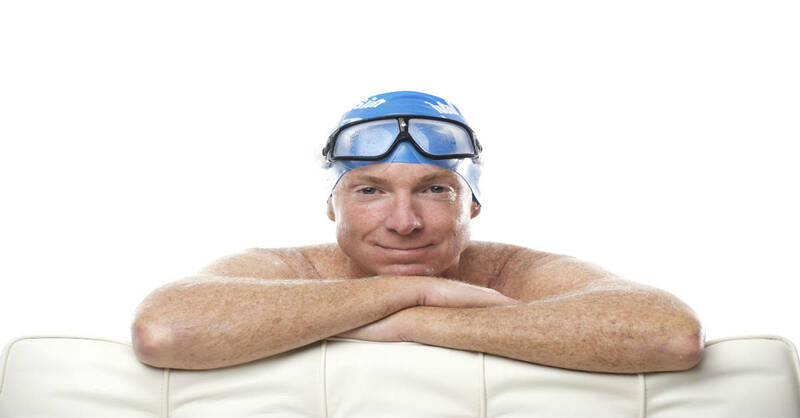 Earlier this month, TI Coach (and ‘Head Librarian’ of the TI Swim Academy) Mat Hudson wrote a blog titled Why Count Strokes? It reveals the first critical feature of swimming speed and swimming efficiency. Halfway down the page, Mat poses the question of whether we should use a ‘device’ to track stroke count. After all there are numerous watches these days that will take care of counting for you. Counting ‘au naturel’ — in your head — is harder, as Mat acknowledges: Just because it is hard to do at first, don’t be intimidated by the work you need to do to develop the habit. I’ve made the same choice. Actually, there wasn’t a choice when I started counting–in 1972 as a college senior. No one had suggested I count strokes, but I thought–as long as I could–why not? The only information to be had about the repeats we did in training came after I stopped swimming and looked at the pace clock. As we did at least one 800-yard swim in every workout, a times that could mean waiting 9 or more minutes to get feedback. I began counting strokes because I thought it might be better to have some kind of feedback every lap — i.e. every 16 to 18 seconds. Almost 40 years later I got a watch which could record stroke count, length, and rate during a swim. At the push of a button, I could review all that data immediately after a swim. I enjoyed playing with my new toy for a week or two but, after using it no more than 8 or 10 times, I lost interest and went back to counting the hard/conscious way. Why? For the same reason I’d started counting 40 years earlier. The watch gave a lot more detailed feedback than the pace clock, but still wouldn’t deliver it until after I finished swimming. I want feedback throughout my swim. So I count strokes. Always. In fact, it’s become such a habit, it’s sometimes hard for me to turn off the ‘automatic counter’ in my head. That’s good. It means that after years of counting, the act of doing so requires so little ‘brainpower’ that I have a lot of free space. For sequencing through internal, external, and visualizing focal points. For noticing subtle changes in my stroke. For tracking my finishing and sendoff time, while doing more complex forms of interval repeats. Etc. 1) Conscious counting is a way of staying present with my swimming. It acts like a mantra, converting any lap into a moving meditation. 2) Counting consciously – while looking for familiar ‘landmarks’ in the pool – a line across the bottom halfway, or the backstroke flags heading into the wall — provide additional ways of verifying that I’m staying efficient. 3) The mental effort it requires is good for my brain.The website Lumosity.com (and others like it) promise to improve memory and sharpen thinking via ‘brain games.’ I accomplish the same by counting and recalling my SPL–then using that info with either Tempo or Time in doing the ‘math’ of swimming. I totally understand your “geek” counting technique, it makes total sense. On my end I’m a beginner, so I count strokes from time to time just to check if I’m still in my “range” which is 10-11 strokes in a 25 meter pool. But more systematically, I have to count and remember the number of laps I’ve done in the pool to reach my 2000 meters objective. As my brain might be already full or because I always swim early in the pool, I often forget my lap count and whenever I have a doubt, I assume I’ve reached the lower number of laps I’m convinced I’ve done. As for the sleepy mode, I guess that’s my style, as I feel really comfy doing it this way. The most inconvenient part with that is when I accidentally “run” into other swimmers who are pretty awake and displeased ! 1) Is there a reason for wanting to swim exactly 2000m? 2) Do you swim in continuously. I never set out to swim a particular distance such as that. Rather I try to make the best use of the time I’ve decided to set aside for swimming that day. I come to the pool with a practice plan (and generally don’t even bother to add up the number of yards or meters in my plan) then follow my plan. When I complete the items or tasks on my plan, I’m done. I usually swim for 50 to 60 minutes. In general that will mean swimming 2000 to 2500m. And the only place I might swim continuously for that 50 min or hour is in the lake where I practice in summer. But that would be rare. In the pool, I do repeats. The majority are 200m or less.